Geneva Motor Show 2018: Tata Motors, India’s largest car maker, announced its new electric concept sedan EVision at Geneva Motor Show in 2018. Tata has created this new EVision concept at the brand new Impact Design 2.0 and this car is based on Tata Motors’ Omega platform. 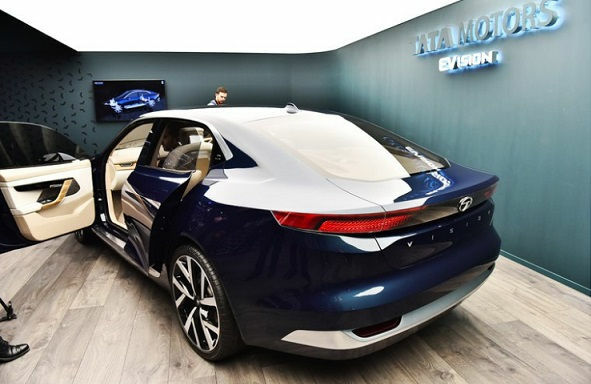 With the introduction of the new EVision concept, Tata Motors has completed 20 years at the Geneva Motor Show. 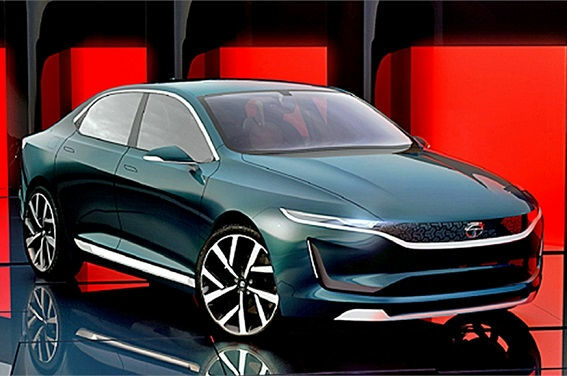 The idea of EVision Concept is so ambitious for the company that Tata Group Chairman N Chandrasekaran and Ratan Tata were present at the Geneva Motor Show to showcase the sedan. Top-speed of the new EVision concept car is 200 kilometres per hour and the company claims that it will take only 7 seconds to catch the 0-100 km speed. As mentioned earlier, this concept car is built on the brand new Impact Design 2.0 and is based on the Tata Motors’ Omega platform. Remember, that Tata recently showcased the H5X SUV concept at the end of the Indian Auto Expo 2018 which was built on this Omega platform. The H5X Concept SUV has also been showcased at Geneva Motor Show along with 45X Concept Hatchback and EVision concept. The company had globally debuted this car last month at Auto Expo. Other features like 21-inch Alloy Wheel, Flush-Fitting Door Handles and ORVMs have also been provided in Tata EVision Concept Sedan. This move of Tata also shows its commitment to electric mobility.